This 100% silicone lubricant is formulated to work with all popular brands of walking treadmills and comes with a "no-mess" nozzle that shoots a straight stream of oil exactly where you want it, never where you don't. Extend the life of your treadmill and lower your energy bills by lubricating your treadmill regularly. This 100% silicone lubricant is a multi-viscosity blend specially designed to work with all popular brands of walking treadmills, including LifeSpan, Steelcase, TreadDesk, Rebel Desk and Exerpeutic, as well as 95%+ of all running treadmills. See www.TreadmillLubrication.com for compatibility list. Unlike other treadmill lubricant bottles that spray a misty cloud of oil particles into the air, the nozzle on our bottle shoots a straight stream of oil exactly where you want it, never where you don't. No messy clean up after every application. Compare LifeSpan's misting spray nozzle design to ours. For optimal performance and electrical efficiency, walking treadmills should be lubricated after every 40 hours of use or once per month, whichever comes first. Neglecting lubrication can have costly consequences in energy bills and wear-and-tear on the equipment. As friction increases, critical components like the motor and controller board can overheat and eventually fail, leading to very costly service calls and replacement parts. One 8 oz bottle of our lubricant should last up to a year for a typical user, and is the cheapest form of insurance against premature equipment failure. 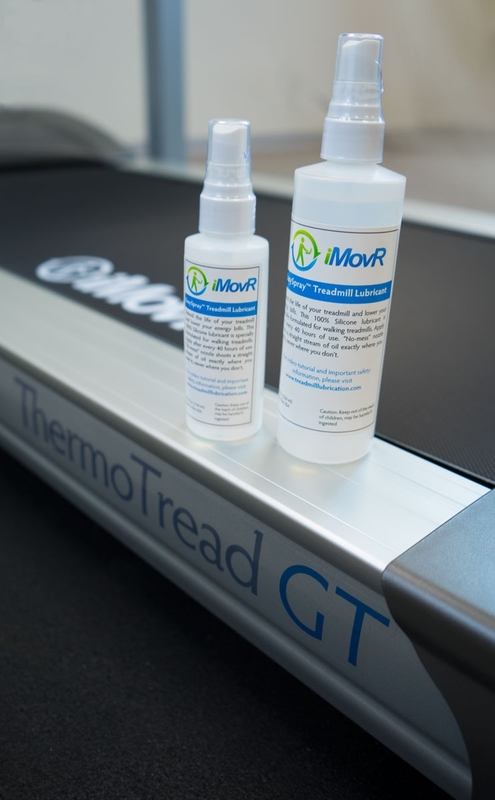 For a complete tutorial on how to apply lubricant to your walking treadmill, and for important safety information, please visit www.TreadmillLubrication.com. Volume 4 oz. 4 oz. 8 oz.